Selected examples: BRADI2G34810, PHYA, TUBB1, GRMZM2G028033. 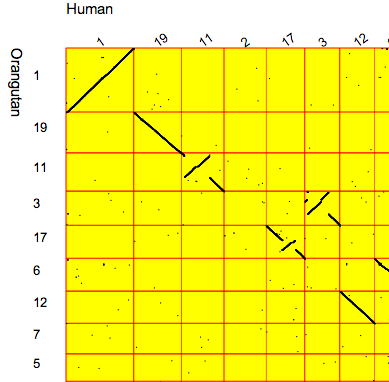 Genomicus is a genome browser that enables users to navigate in genomes in several dimensions: linearly along chromosome axes, transversaly across different species, and chronologicaly along evolutionary time. Once a query gene has been entered, it is displayed in its genomic context in parallel to the genomic context of all its orthologous and paralogous copies in all the other sequenced angiosperm genomes. Moreover, Genomicus stores and displays the predicted ancestral genome structure in all the ancestral species within the phylogenetic range of interest. All the data on extant species displayed in this browser are from EnsemblGenome Plant, Phytozome, and specific servers. What's new in version 16.03 ? Warning: Arabidopsis thaliana genes often possess many alternative names in addition to the TAIR locus name. 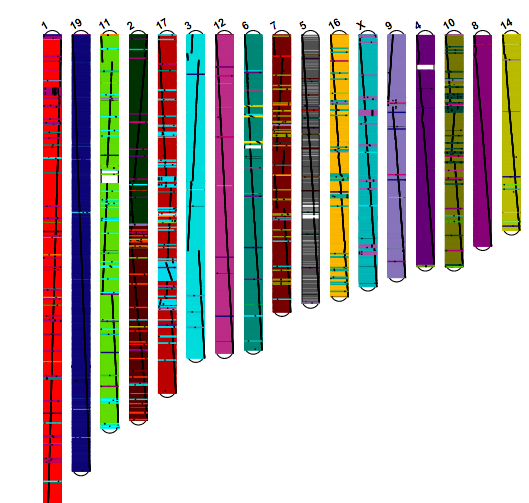 Currently such genes may only be queried using the TAIR locus name or a single alternative name, identical to the main name used in EnsemblGenome. GenomicusPlants : A Web Resource to Study Genome Evolution in Flowering Plants. .
Genomicus update 2015: KaryoView and MatrixView provide a genome-wide perspective to multispecies comparative genomics . Genomicus: five genome browsers for comparative genomics in eukaryota.